Today's Scripture affirms that God is a sun and shield that He bestows favor and honor, and that "no good thing does he withhold from those whose walk is blameless. So why wouldn't that mean physical healing for someone who seeks to follow Him? Well, it might, if He so chooses; He is still the God of miracles. Even so, many broken things in this broken world will not be mended until Jesus returns or calls us home. Through it all, however, God will not withhold His wonderful, incomparable gifts. He won't withhold His grace and the provision for our sin. He won't withhold His kindness or His peace. He won't withhold courage when we need it. He won't withhold His Holy Spirit our Counselor, Comforter, and Guide—who loves us and lives inside us. And when the time comes He won't withhold eternal life or a room in His great house, where all will be set right forever. Truly, Lord, You are a sun and shield to me. Your radiance floods my path, and You protect me from the arrows of the enemy. You have not withheld Your gifts or the sweetness of Your presence from me day by day Never, not even once, have You left my side (May 12 entry). "The robust hope of the believer is not that we will escape hurts and sorrows, but that God will make every one of them an instrument of His mercy to do us good—both now and in eternity." (May 31 entry, A Spectacle of Glory). See all those tabs? And that was taken near the halfway point in my reading. 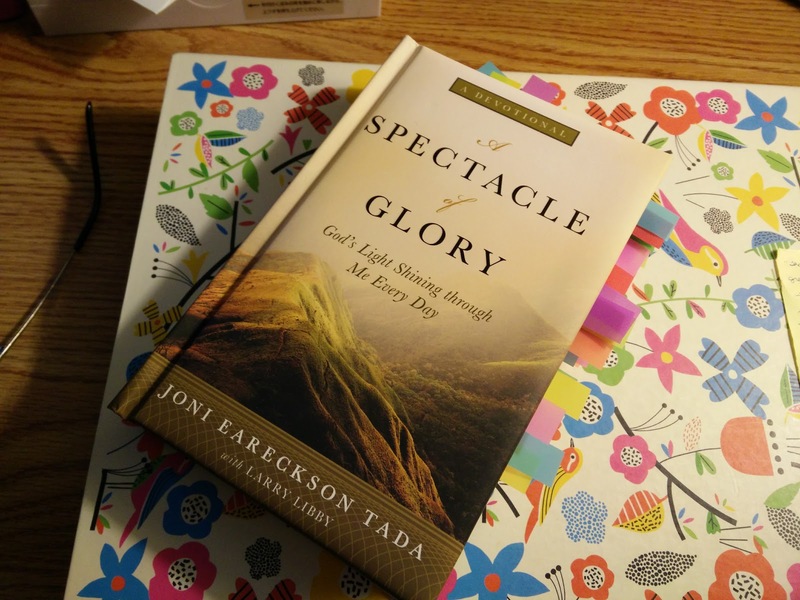 Joni Eareckson Tada's new book, A Spectacle of Glory: God's Light Shining through Me Every Day, is a collection of 365 devotional readings "about glorifying God in every situation," according to the dedication page. The title comes from Tony Reinke's Newton on the Christian Life: "Some Christians are called to endure a disproportionate amount of suffering. Such Christians are a spectacle of grace to the church, like flaming bushes unconsumed.... The strength and stability of these believers can be explained only by the miracle of God's sustaining grace" (7). Our heavenly Father will never let suffering, pain, and disappointment have the last word. The last note belongs to him. Even in your hardship and sorrow, he sings a melody of hope, comfort, and victory over you (July 15). For reasons known only to Himself, the Father calls us to intimacy with His Son on His terms—and those terms call for us to suffer, in some measure, as His Son did while He was on Earth. Yes, suffering may seem like a high price to pay for having Christ as a confidant. But He is ecstasy beyond words. It's worth anything to be his friend (February 21). Lord Jesus Christ, right here and now, I lift up Your mighty name, the name above every name. You are the Great Shepherd, the Word of God, the King of Kings, the Beginning and the End. You are the Author and Finisher of my faith, the Lion of Judah, the Lamb of God. I want to fill this room, this car, this day, with Your praise! (March 30). I heartily recommend this book. Like many of Joni's books, it is especially well-suited for those going through a time of emotional or physical suffering and in need of hope and encouragement to keep walking with Jesus in the midst of their pain. The short daily entries are the perfect length for times when a trial saps so much concentration that a longer or more abstract work would be too demanding. Joni doesn't gloss over how hard the hard things are. She acknowledges the sorrow and pain but then points the reader's gaze to the Lord who Himself suffered and has redeemed our suffering. It has the makings of an excellent pass-along book, too. I have already shared many brief quotes with a suffering sister and will hand my copy over to her once this review goes live. N.B. : I received a complimentary copy of this book from Handlebar in exchange for an honest review. Amore's dad, Eucled Moore, passed away early Friday morning after a long battle with Parkinson's. 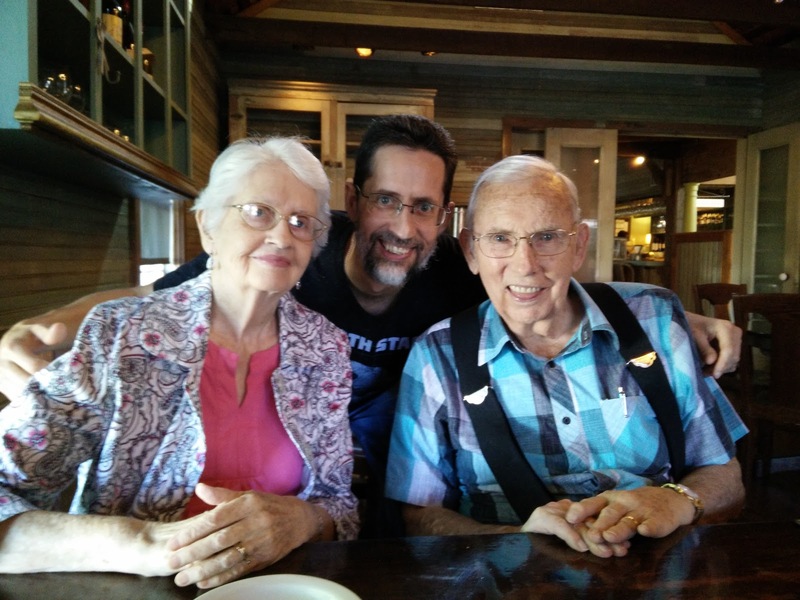 He pastored churches in Arkansas and West Virginia before serving as an IMB missionary in East Africa. After the family's return to Texas in 1981, he served as the founding pastor of a still-thriving New Braunfels church. I never got to hear him preach but enjoyed the privilege of sitting under his teaching in many Sunday school classes. He had a beautiful singing voice and was a skilled carpenter. Our home is full of his woodwork, Bible study resources, and carpentry tools. He worked hard in everything he undertook, and God gave him much success. One of my sisters-in-law recently honored Dad Moore's pilgrimage better than I can in "The Magic of Music" on her own blog, strokemanswoman. He was a kind and loving father-in-law to me and always encouraged my attempts at writing and photography. He is greatly missed, but we are very thankful his decades of suffering are over and we will see him again in the Lord's presence. He leaves behind his wife of nearly 63 years, five sisters and their families, five children and their spouses, twelve grandchildren (some of them also with spouses), and four great-grandchildren. The memorial service is scheduled for Sunday afternoon. Please keep the family in your prayers as we prepare, travel, and celebrate his life together. "For the Lord himself will descend from heaven with a cry of command, with the voice of an archangel, and with the sound of the trumpet of God. And the dead in Christ will rise first. Then we who are alive, who are left, will be caught up together with them in the clouds to meet the Lord in the air, and so we will always be with the Lord. Therefore encourage one another with these words." Last year held much change and many widespread health trials for our family. Existing conditions advanced, and new diagnoses came seemingly out of nowhere. At least 2 of those situations have the doctors baffled. Sisters moved locally or internationally. Two extended family members came to require residential nursing care. 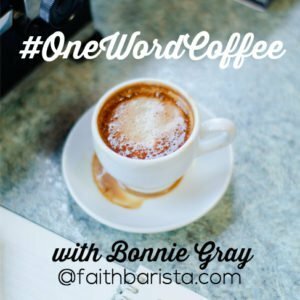 Employment situations changed, for better or for worse (although, for the Christian, even for worse is ultimately for better). It was the year of the brace for me. With an even dozen joints giving me difficulty, my orthotic braces reached a high of 9 last summer. Today's count is 7. This has taken away my piano and yarncraft and limited my reading (page-turning), walking, photography, typing, and writing by hand. When our youngest nephew asked for crocheted shark slippers for his birthday, I had to put the yarn and pattern away and order the finished project from Etsy because my wrist and elbow couldn't handle crochet. (That cost some tears.) The first new medicine didn't help, so we're trying a second one, but these are the kinds of medicines that require 6 months of steady use to know for certain whether they will work. Cold laser treatments have seemed to help some. Formal physical therapy created new problems, and at this point, the exercises any particular joint requires make one or more other joints angry. The medical appointments totaled 56. The doctors still think this is a temporary state of affairs, but they can't know for certain. The situation is so complex we're still praying earnestly and taking one step at a time as the Lord shows us what next. The dermatologist gave me a new scar for Christmas, too. Actually, right now it's still a wound, not a scar, but that will come. A new mole appeared underneath one of my braces, on skin that hasn't seen the sun since my last skin cancer screening. It only turned out to be dysplastic, not cancerous, but its sudden appearance raised suspicions and called for removal just in case. From those bare facts, you might think it was a horrible year, but you'd be wrong. That is not to say it was my all-time favorite, but the blessings were abundant, especially the family times. We celebrated 10 family birthdays in person on the actual day. Amore and I had a special symphony date in January and one night away for our anniversary. Seven of us met my uncle and aunt for a summer day at the science and nature museum. The boys created outlandish birds and fought robot wars with Grandpa and Uncle. Another family outing took us to the aquarium. A cousin Mom hadn't seen in years but was very close to in childhood came for a family dinner and lots of stories while he was in town on business. We are stockpiling memories like people between famines. We have known the separations of distance, illness, and circumstance that hinder those kinds of together times. We have said good-bye to my grandmother and the end of new memories with her. These seasons of memory-making are temporary, fragile, and precious, so we cherish them and try to do so with hands open to the Lord, who gives and takes in wisdom for our good. The Lord gave enough strength at the right time for us to spend a week with Amore's parents in central Texas and for me to help my parents care for my nephews for a week. Even 2 days before both those events, my participation was in doubt, so we knew with confidence that the strength was God's power made perfect in my weakness. The Lord also provided sufficient grace to continue in ladies' Bible study at my church and even to serve as a table leader for a six-week study in late spring. Amore had 5 journeys planned without me. Three of them came to pass. Having so many joint problems at the same time means I take ordinary blessings less for granted than formerly. Driving myself to appointments, cooking for our family, doing the laundry or dusting, walking to the park, writing a birthday card... all of these are blessings of God's grace, which sometimes were disguised by their ordinariness. When I couldn't drive myself to appointments, my parents or husband blessed me with extra time together. When I grumbled to myself about imposing on them, the Lord convicted me of ingratitude and reminded me that our time together was a blessing, whatever the reason. Audiobooks to read to me and Amazon's Whispersync for Kindle to turn pages screens for me allowed me to stay engaged with my beloved books when my shoulders wouldn't let me turn pages beyond my day's Bible reading. My youngest nephews, Terza, and I immersed ourselves in the world of Hogwarts, the Burrow, and No. 4 Privet Drive for months on end and talked of dementors, charms, and what our patronus would be. It was not uncommon to enter their house to the greeting, "Expelliarmus!" 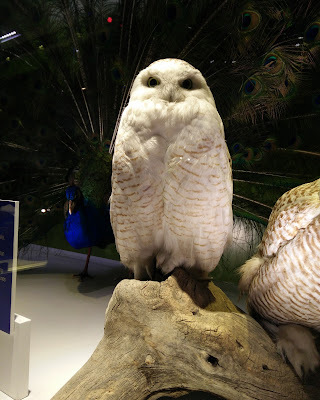 On seeing this at the science museum, Thunder said, "Look! It's Hedwig!" My mother's lifelong dream to see the Emerald Isle was fulfilled. She traveled there in late spring with Dad and Mezzo to visit the land from which some of her forebears immigrated, and it lived up to their expectations. While they were gone, Amore and I watched Lightning hit a home run and slide under a too-late tag by the catcher. We sent the video to Grandma, Grandpa, and Aunt Mezzo across the ocean, and they watched it on a long train ride, cheering and clapping, much to the confusion of the people around them. The birds and butterflies came in abundance, bringing cheer and distraction on many a discouraged day. We enjoyed a visit from a blue parakeet and raised monarchs from caterpillar to adulthood and release. An adult niece and nephew on Amore's side began new lives and households with their respective spouses. We hope and pray the very best for them and are thrilled with the new additions to the family. We laughed heartily as well as wept. It was a hard year, but certainly not a forgettable one. In the midst of the persistent and even increasing trials, I have sensed the Lord's invitation to press on through perseverance toward counting the losses and pains as nothing compared to the worthiness of Christ, toward treasuring Him more than what has been taken, toward believing in and cherishing the fellowship of His sufferings even when I can't sense it. Elisabeth Elliot said, "The deepest things that I have learned in my life have come from the deepest suffering, and out of the deepest waters and the hottest fires have come the deepest things that I know about God." Perseverance with joy (Col. 1:11) comes, through God's supply of strength, when that deep knowledge of God grows more precious than the things taken by the deep waters and hot fires of suffering. I want to grow in treasuring Him that way, though my soul shrinks back from the process. Trials are worth it because He is worthy. 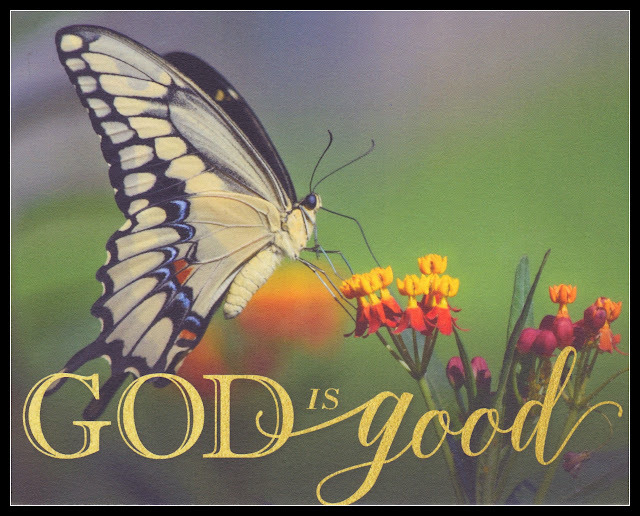 His plans are good because He Himself is good. May the year 2017 draw us deeper in treasuring Him. May none of our sufferings be wasted, but all serve to increase our growth in knowing Christ in the power of His resurrection and the fellowship of His sufferings (Phil. 3:10).